Security functions Built-in protection device overheating protection, sequence protection, undervoltage protection and delay protection. Test conditions:Air source side DB/WB is 20C/15C. hot water side beginning is 20C. ending water temp 70C. This CAR High temp heat pump 70DegC is special for supply hot water of 70DegC. 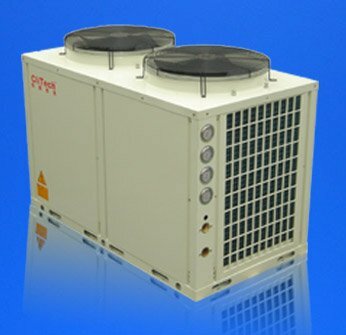 normal heat pump produce water of 55-60DegC, If you need high temperature hot water and energy saving, this series heat pump will be your best choice! Unbelievable price on High temperature heat pump 70C Copeland scroll compressor R417A refrigerant in Foshan (China) company Foshan CliTech Air-conditioning Equipment Co., Ltd.